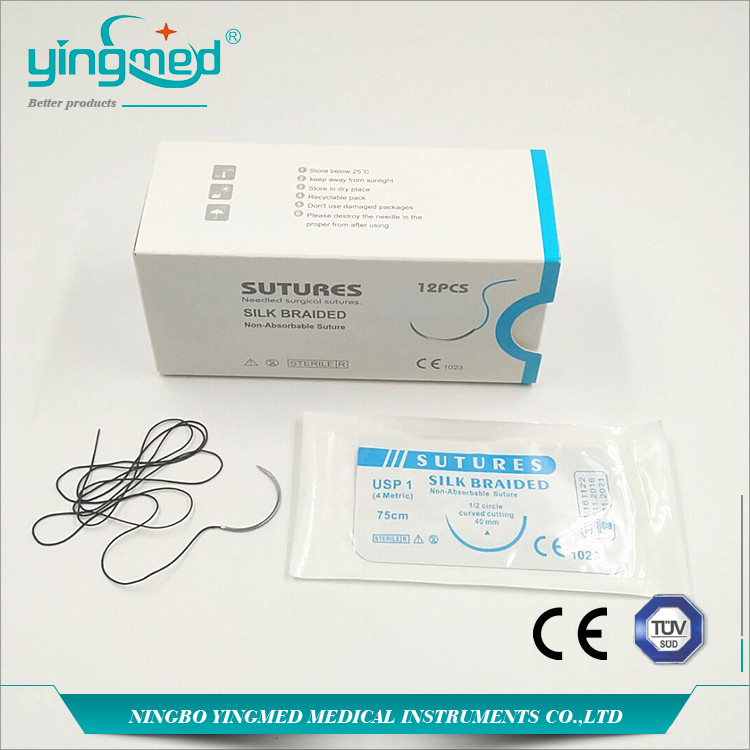 Silk Braded Surgical Suture is a kind of Non absorbable surgical suture made from silkworm larval cocoons. Compared with Charomic Catgut, it can not be absorbed by human body. So it should be tooken out after the wound healing. Needle end type: Rooled end, drilled end, regular-eye end. Cross section: Round bodied, round bodied (heavy), curved cutting, curved cutting(heavy), reverse cutting, reverse cutting (heavy), tapercut, micro-point spatula curved. Do you have any questions about our Silk Braided Surgical Suture or other requirements? Please do not hesitate to contact with our customer service directly through live chat, telephone or email. We will happy to advise you. 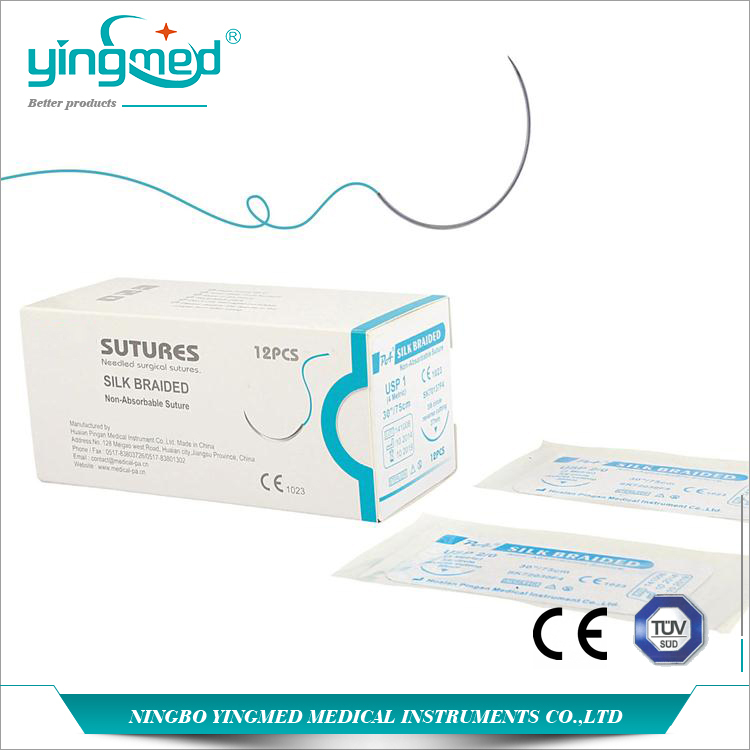 Looking for ideal Silk Surgical Suture Manufacturer & supplier ? We have a wide selection at great prices to help you get creative. 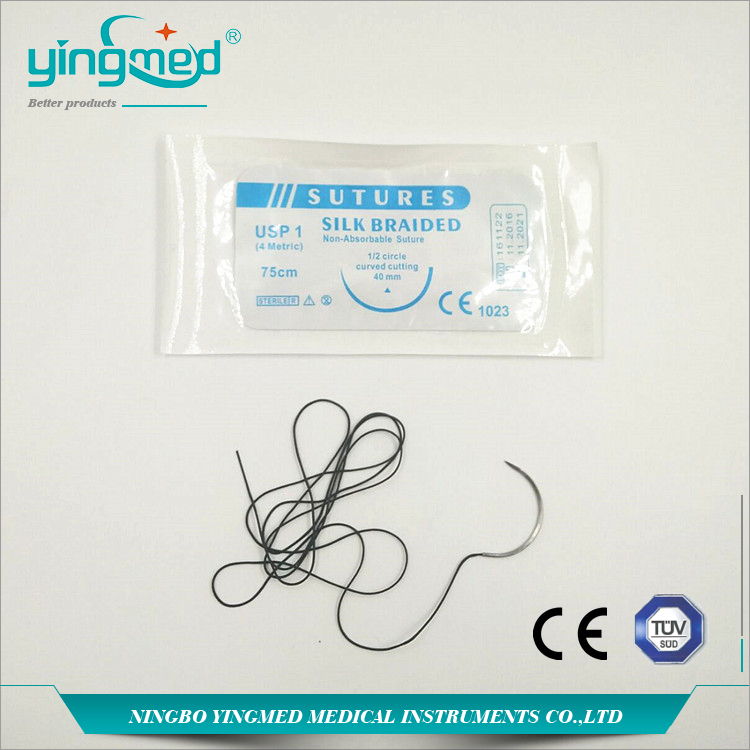 All the Silk Braded Surgical Suture are quality guaranteed. 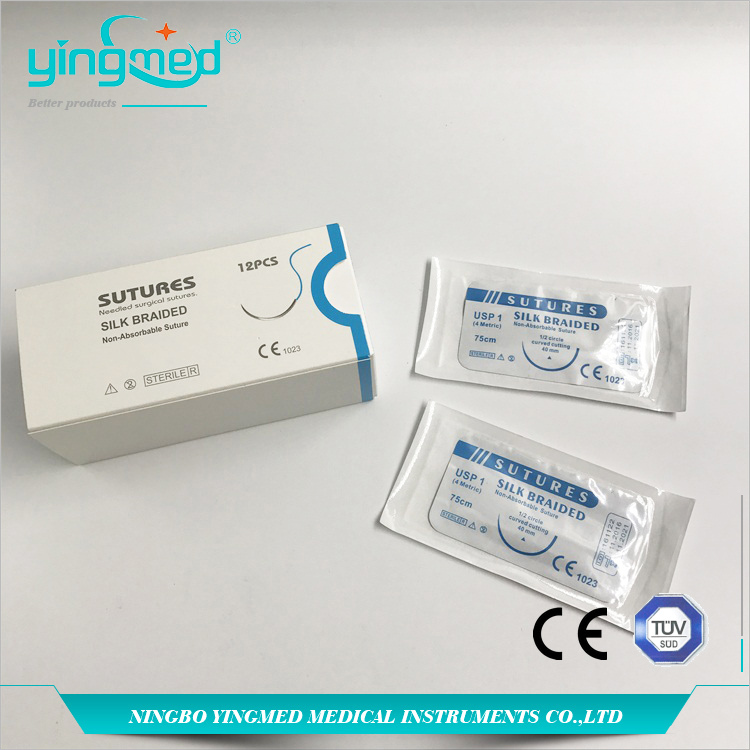 We are China Origin Factory of Non Absorbable Surgical Suture. If you have any question, please feel free to contact us.